1 murder weapons | This Blog Rules | Why go elsewhere? Murder. Capital sin and one of the most condemned, heinous and news worthy crimes humans can commit. While psychologists, anthropologists, sociologists and law men all over the world are still studying the exact intricate, subtle and mind-blowing mechanisms that can turn a person from a decent human being into a murderous monster by years, by night or by seconds, the media is always here to present us every gruesome and gory detail of such crime when it’s committed or attempted (sometimes embellish the story for the audience rankings too), not leaving behind any element that might scare us, disgust, shock and terrorize us. And then again, if we already kind of got used to hearing about guns blazing, knives stabbing, fists and feet hitting, baseball bats cracking and all other sharp, blunt or piercing manufactured weapons or weapon-like common objects, and choose not to read your newsfeed anymore, sometimes, when you hear about a woman stabbed her husband with a squirrel, you feel compelled to read about it, as this is quite a new, original story. So thinking about the most bizarre and unlikely weapons people managed to commit crimes with, we browsed the Internet and found at least three such murder and attempted murder cases, which, if they wouldn’t be so sad, they would be funny in the sickest way. This is the freshest and the most intolerable one news-wise, because when you actually read the articles (and not just the titles), you will find out that a woman indeed beat the soul out of her husband and allegedly tried to stab him with a ceramic squirrel on Christmas Eve. 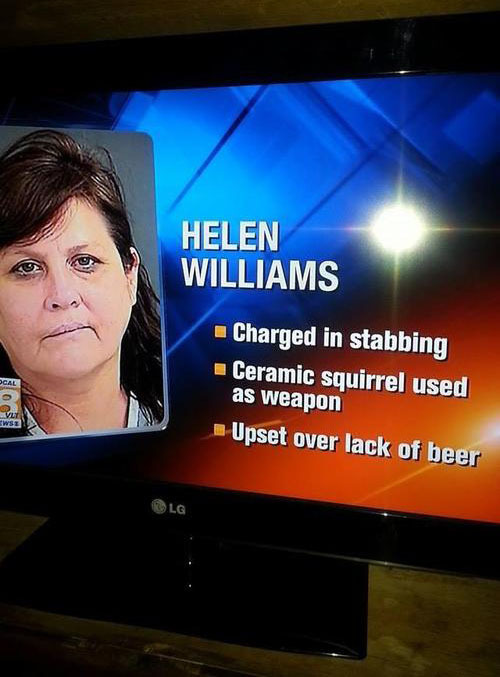 The key word is “allegedly” and the squirrel wasn’t Chip, or Dale in some live form, but yet again, to use a ceramic decoration to assault a man deserves a mention in the media and the squirrel definitely found its rightful place among the most bizarre and unlikely weapons people managed to commit crimes with, even if the squirrel isn’t technically a murder weapon, because the husband survived. 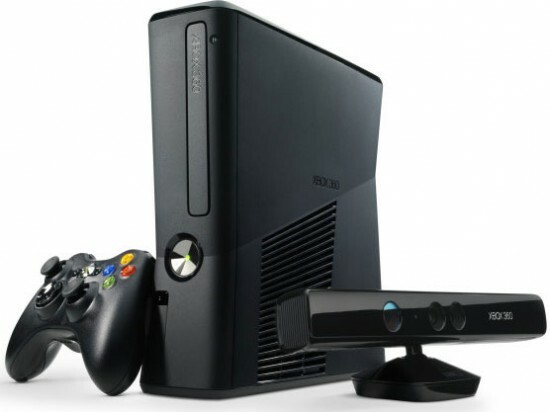 Also recent and terrifying piece of news, in April 2013, according to the press, a woman found her total demise in the hands of her boyfriend, who used an Xbox 360 to beat her to death with. Now, before over-exaggerating, people committed murder with even more bizarre and unlikely weapons, such as chessboards, stones, pickle jars or toilet tank lids, to only name a few. The logic is clear, the bigger, harder and solid the object, the greatest chances to break somebody’s skull, if you are very determined to successfully reach your goal. But in this case, the motivation of Darrius Johnson was mind-blowing: he sacrificed the girlfriend for her being in possession of his spirit. At the crime scene, three knives were found too, so the man had some serious problems. The Xbox may have just been at hand, who knows? There is a f*-up video on the Internet about some freaky guy murdering another guy with a spoon. Seriously now? Kill an adult by hitting him with a spoon? This is “Tarantino had a smoke with Freddy Kruger” type of scenario horror movie. Don’t watch it if your nerves are not made of steel, though. But since they say there is no smoke without a fire, if you can kill a five year old girl with an ordinary kitchen spatula, who says that if you insist long enough, you can’t beat to death a grown man with a spoon? As impossible, against – nature and shocking as it sounds, this is also true. 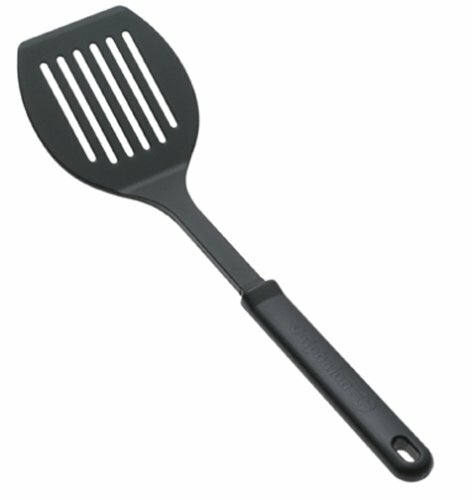 A very pissed – off mother beaten her 5 year old girl to death with a spatula. The case was covered extensively back in 2010, as both parents lied about the girl’s condition, tried to fool the investigators and get away with it. Only the mother was charged with murder, but the father trying to cover up the truth was held in for child abuse.